Mike Nudelman/Business InsiderMicrosoft CEO Satya Nadella. Over the last few years, it’s been tough to pinpoint what Microsoft’s focus is. In 2012, then-CEO Steve Ballmer wrote an open letter to shareholders labelling Microsoft as a “devices and services” company. It was a signal that Microsoft would not only make the software that people use, but the devices that software runs on. That’s a very Apple-like philosophy, but one that hasn’t paid off for Microsoft as we’ve seen with its Surface line of tablets and acquisition of Nokia. The narrative shifted when Satya Nadella took over as CEO in April. Hardware took a backseat to what he repeatedly called a “mobile first, cloud first” vision of computing, a vague mantra implying that he wanted Microsoft’s software and services to power everything, even competing products. 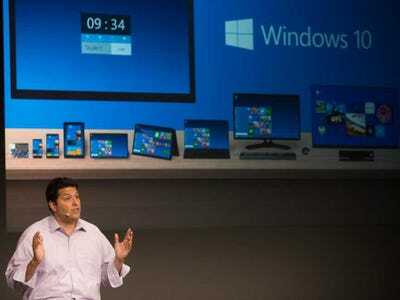 The launch of Office on iPad in the spring was perhaps the biggest gesture signifying a new openness at Microsoft. 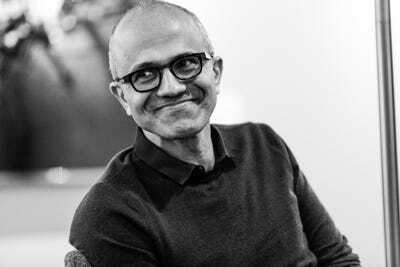 But despite the flood of new products from Microsoft in recent months — the Surface Pro 3, Office for iPhone, iPad, and Android, even a fitness band — Nadella has focused his vision for the company even further. In fact, he only sees three key parts of Microsoft’s business. In other words, everything else beyond Windows, Office, and the Azure cloud business is just gravy, hooks to pull those who may not use Windows devices into the Microsoft ecosystem. 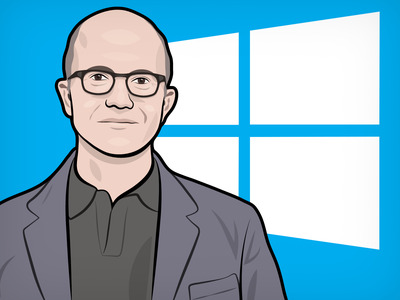 It’s the most definitive vision for Microsoft we’ve heard in years, perhaps even decades. Still, Nadella is going about it in a very Microsoft-y way. The next phase for the company surrounds the concept of productivity, an idea that no matter what kind of device you use, a Microsoft app should be there to help you do it better. It’s not the sexiest vision. Apple specialises in making hardware that frenzied fans line up all day for. Google is working on everything from driverless cars to cheating death. Facebook helps over 1 billion people per month share and communicate, while dabbling in other futuristic projects like virtual reality. Nadella thinks Microsoft can fit in by helping you manage your email, to-do lists, documents, and calendar better than anyone else. As boring as that may sound, Microsoft feels like a much different company than it was under Ballmer just a few months ago. There’s more experimentation, more willingness to work with competing platforms, and an effort to make Windows as ubiquitous as the most popular operating system in the world, Android. Nadella thinks Microsoft can be everywhere, even if you don’t notice it. During a series of demos with Nadella and a circle of key executives, iPhones and Google Nexus phones were used just as often as gadgets running Windows 8 or Windows Phone. Office, one of those three core products, is getting a facelift next year for touchscreen Windows devices. And now anyone can download office for iPhone, iPad, or Android tablets and use those apps to create and edit documents for free, another one of those hooks Microsoft hopes will convince users to start paying for the Office 365 subscription service. MicrosoftWindows 10 is designed to run on just about any device that can connect to the internet. 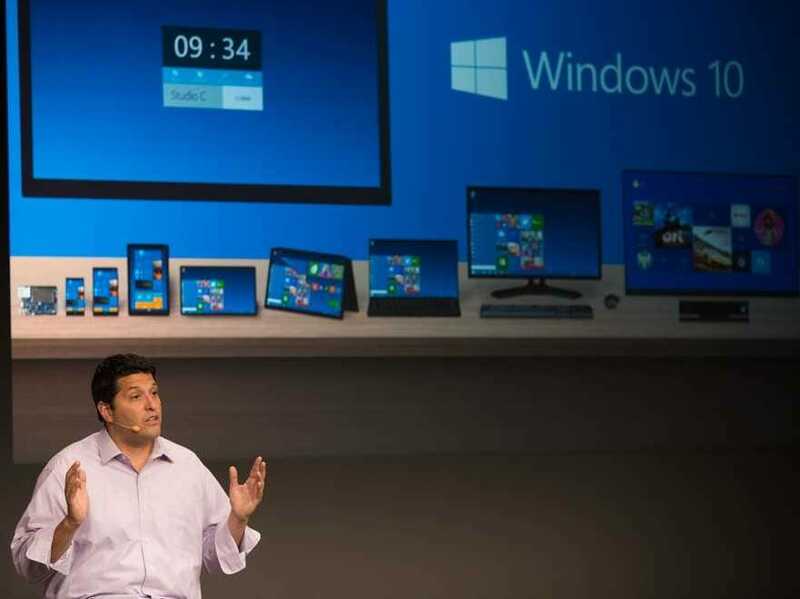 The next version of Windows, Windows 10, is another piece of the puzzle. When it launches next year, Windows 10 will be Microsoft’s first operating system to run on everything from phones to big-screen TVs. It will even run on objects part of the so-called “internet of things” trend, like internet-controlled appliances. We’ve only gotten a small taste of Windows 10 so far, but it seems like a reset from the disaster that Windows 8 turned out to be. And with most of the Windows world still running Windows 7, there’s potential for a massive upgrade cycle next year. MicrosoftThe Next lock screen for Android is an example of how Microsoft uses other platforms to test new features. Finally, there’s the mishmash of projects coming out of Microsoft Garage, a division dedicated to hacking together projects and figuring out what might stick. One of the latest apps to come out of there is the Next Lock Screen for Android phones. (Yes, Android.) 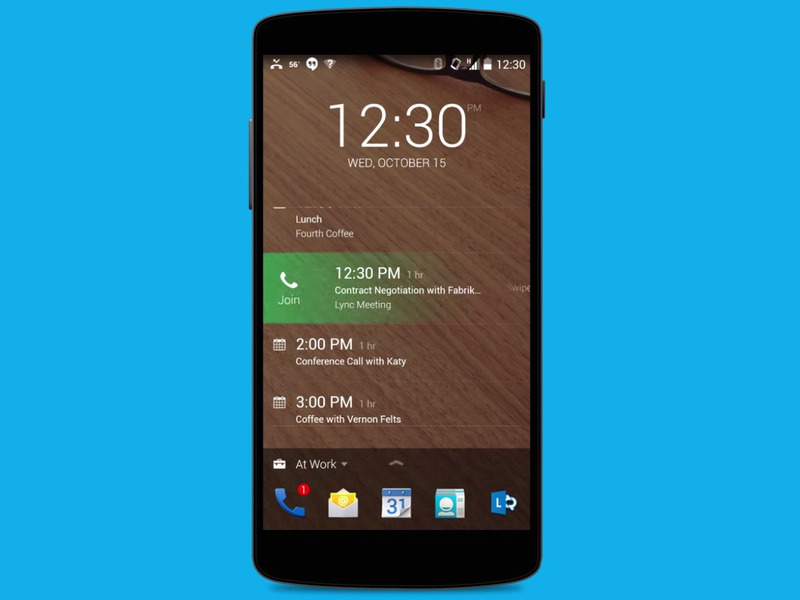 It replaces your regular lock screen with helpful notifications like the ability to swipe a calendar alert to jump into a conference call. The plan for projects like Next is to discover new tools that can be adapted to other Microsoft products down the road.